I made the joke recently that Armageddon is like geek Christmas for me. It’s the last convention of the year that I attend and there’s always a strong sense of anticipation beforehand. Also, Armageddon was the first convention I ever went to, so for me there’s a feeling of nostalgia and homecoming that surrounds Armageddon. Last Sunday I was awakened by a rat-a-tat-tat at the door. 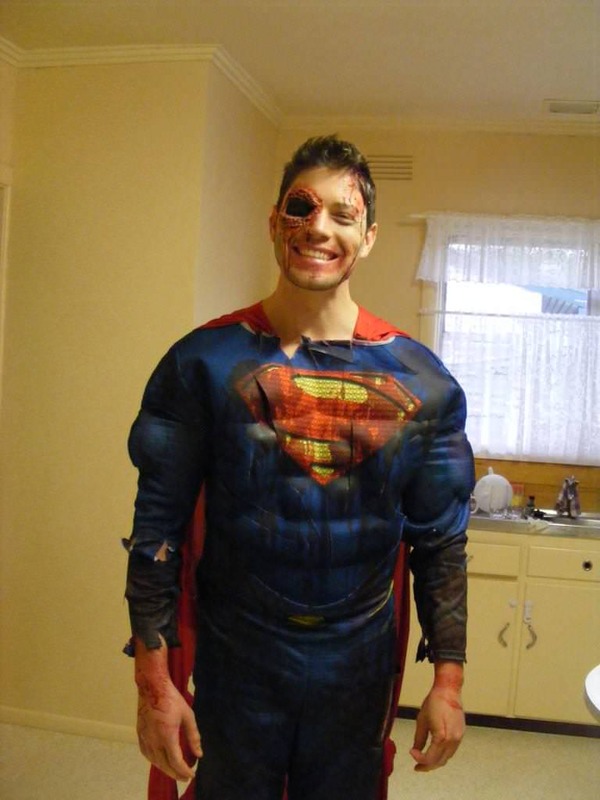 It was 5am and my mate Luke was at my place, super-excited and eager to make a start on our costumes. After a hearty breakfast, a quick shower and several hours of makeup, we were ready to head out the door and make the drive to the city. 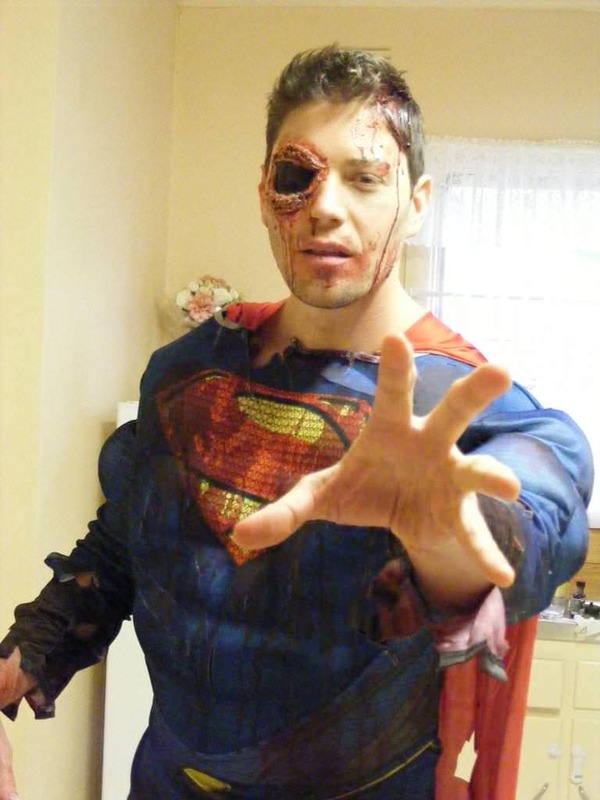 Luke had decided to dress as Zombie Superman and I’d offered to help him out with his special effects makeup. 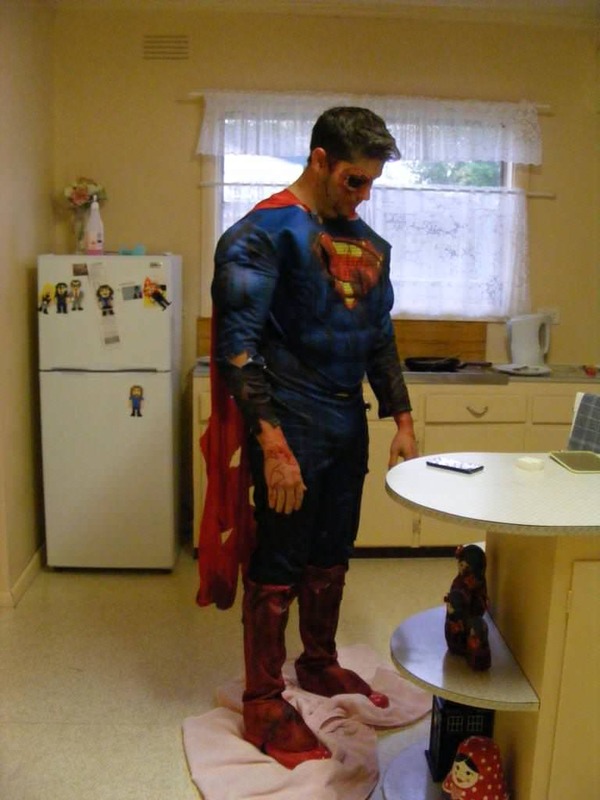 We had loads of fun splattering his costume with fake blood and scruffing it up. Here’s a picture of Luke waiting on a pretty pink towel for his blood to be dry enough that it wouldn’t rub off on the interior of the car. 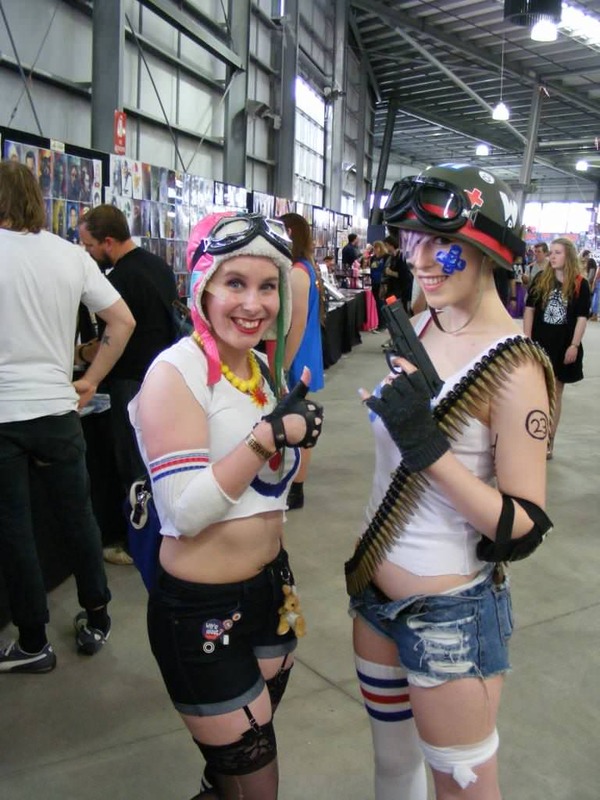 I opted for a re-booted version of my old faithful Tank Girl cosplay. I’d intended to dress as Susan Sto Helit from The Hogfather, but then I read the weather report. I didn’t feel like sweltering in a wig and full-length gown and cape, so I chose to don my cutoffs and combat boots once again. I made a few small modifications to my costume this time around. 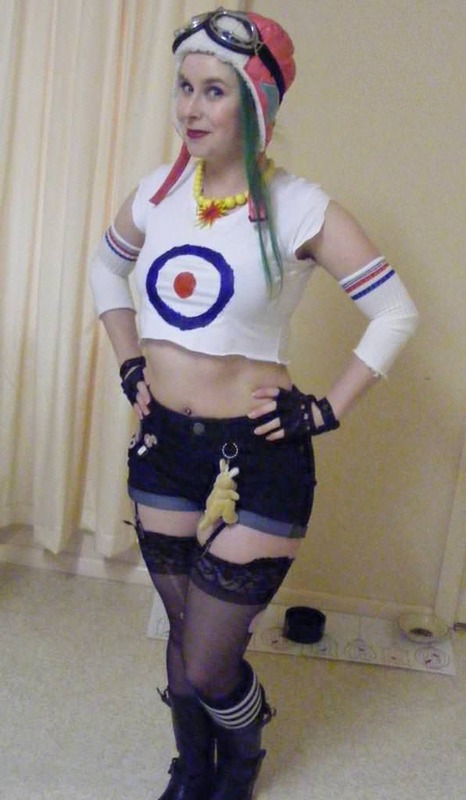 I made a ‘target’ tee shirt like the one that Tank Girl wears in the film and dyed my hair green for the occasion. I actually really liked the way my green hair looked! – Meeting up with Caz from Nerdburger. Caz and I have been blogging buddies for years. I even interviewed her way back when my blog was just a baby. She is so sweet in real life and it was fantastic to finally meet her. – Catching up with Stewart McKenny and Chris McQuinlan, two of my favourite comic book artists. It was especially awesome to meet up with Chris when I was wearing my Tank Girl costume, because Chris did an awesome Tank Girl pin-up commission for my birthday a few years back. – Seeing a little kid in a stroller, happily munching through a pack of trading cards. I’m not even kidding. He was eating those things like they were chips! – Getting my mug shot taken by the Gotham City police department. 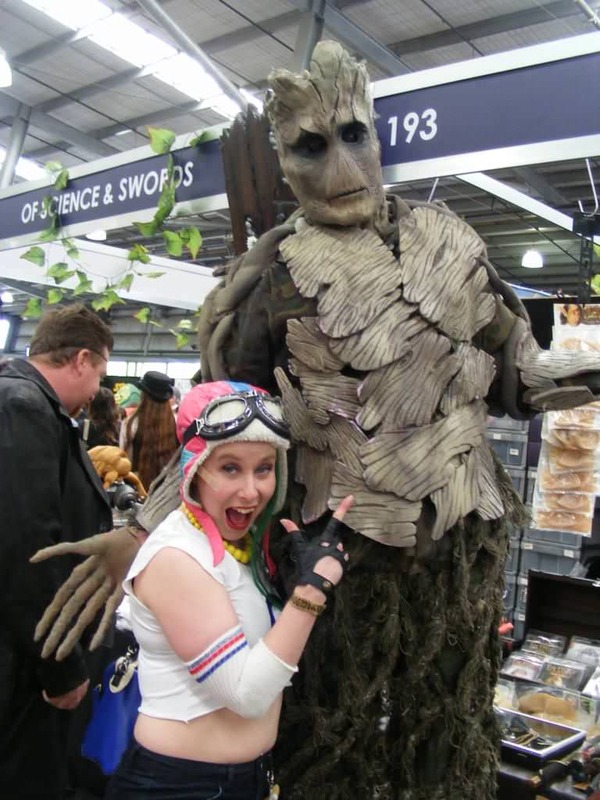 – Seeing a giant dancing Groot. – Getting photos taken with this life-sized Jabba the Hut. Groot! I nearly hyperventilated when I saw him towering above the crowds. His costume was so detailed and he loved to dance. 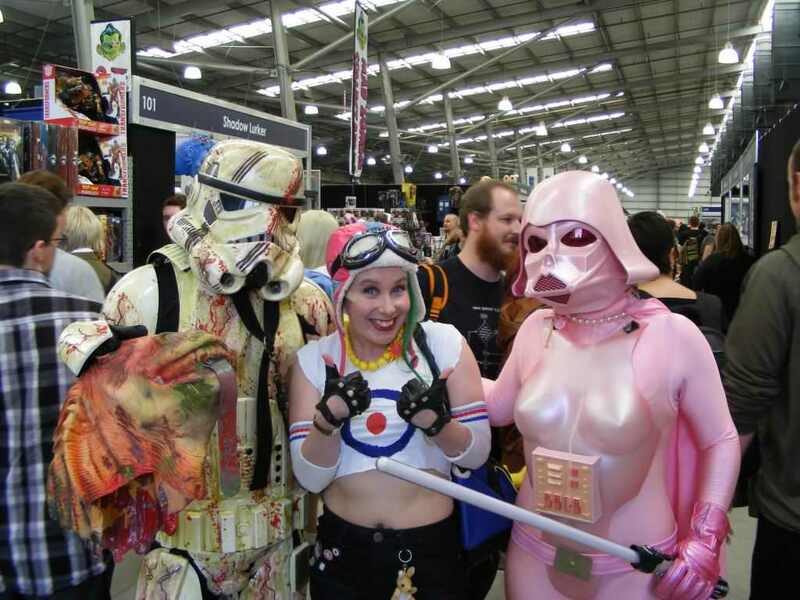 I went mad for this pink Darth Vader and her Storm Trooper pal. Although I didn’t notice until afterwards that he was carrying Jar Jar Binks’ head around (embarrassing fact: I actually like Jar-Jar. Let me hang my head in shame while we move onto the next picture)…. Howard Moon and Vince Noir from The Mighty Boosh! These dudes were incredible. 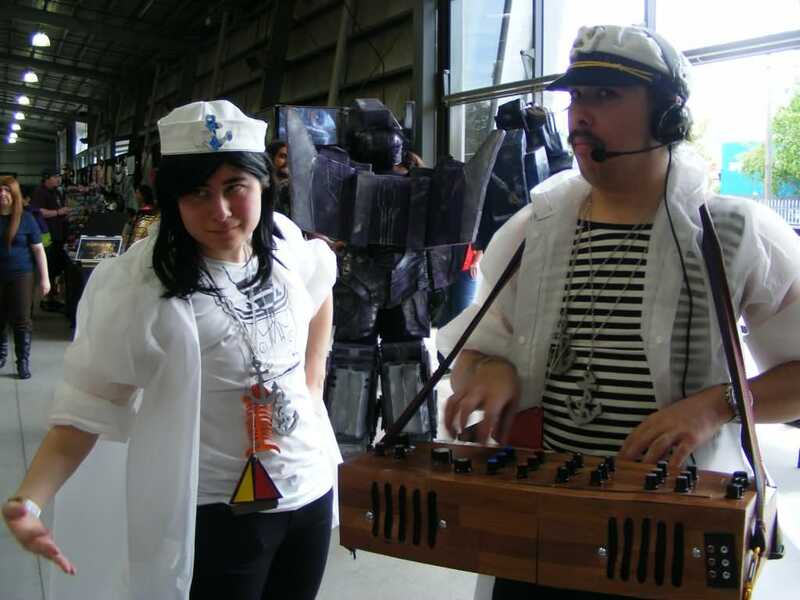 That synthesizer actually worked, and they performed Future Sailors just for me. I was one happy fangirl. 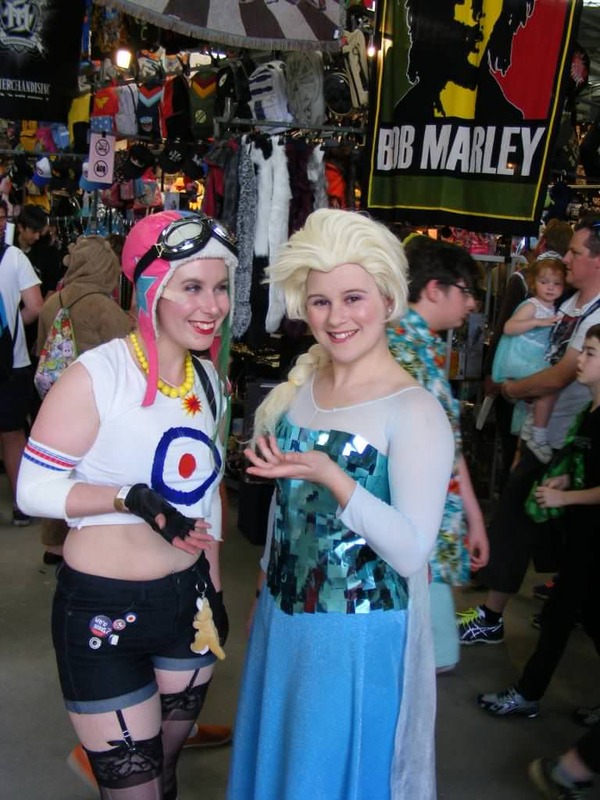 I found another Tank Girl! And she was flippin’ adorable! 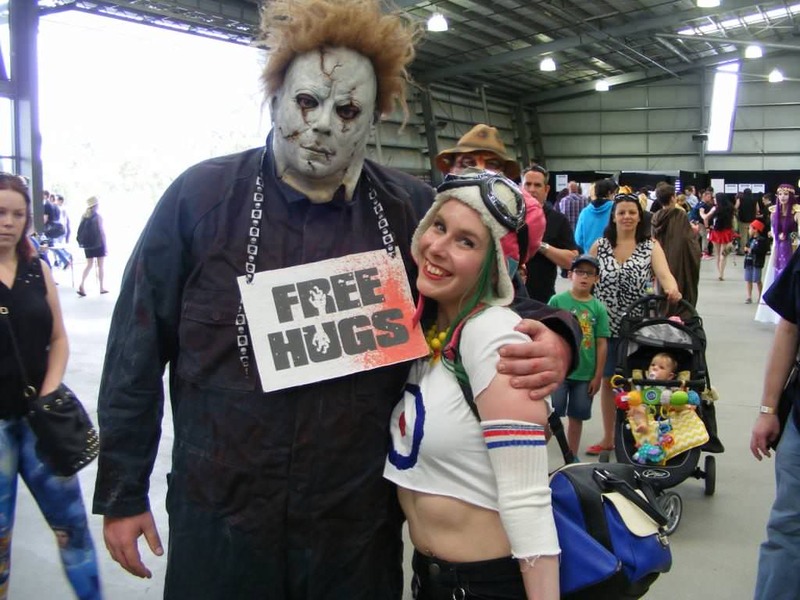 What horror-lovin’ gal wouldn’t love a free smoosh from Michael Myers? And it’s pretty cool and Freddy and Michael were able to put down their weapons and get cosy for the camera. Tank Girl got a little pick-me-up from Walter White and Jesse Pinkman. Don’t fret, it’s just candy! I ran into this awesome Prince Oberyn Martell who I met at Comic Con earlier in the year. WOMAN! WOMAN! 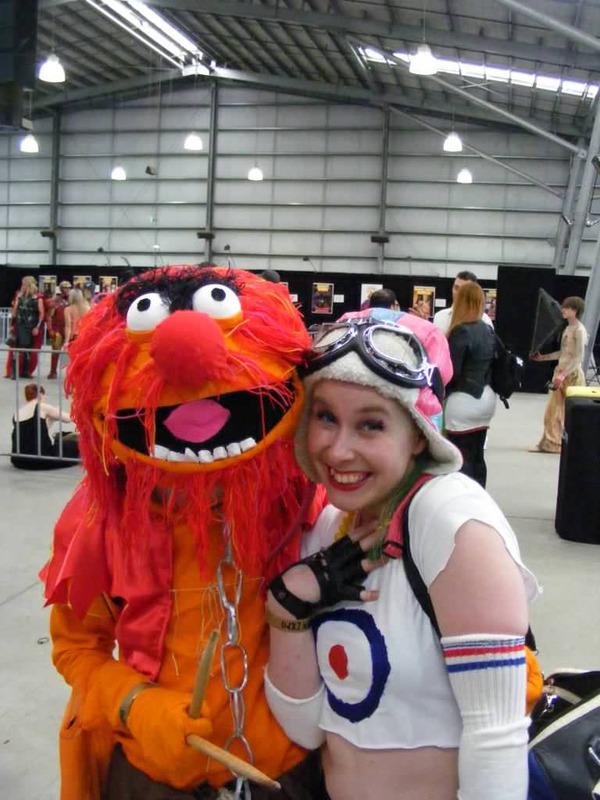 There just aren’t enough Muppets cosplayers. 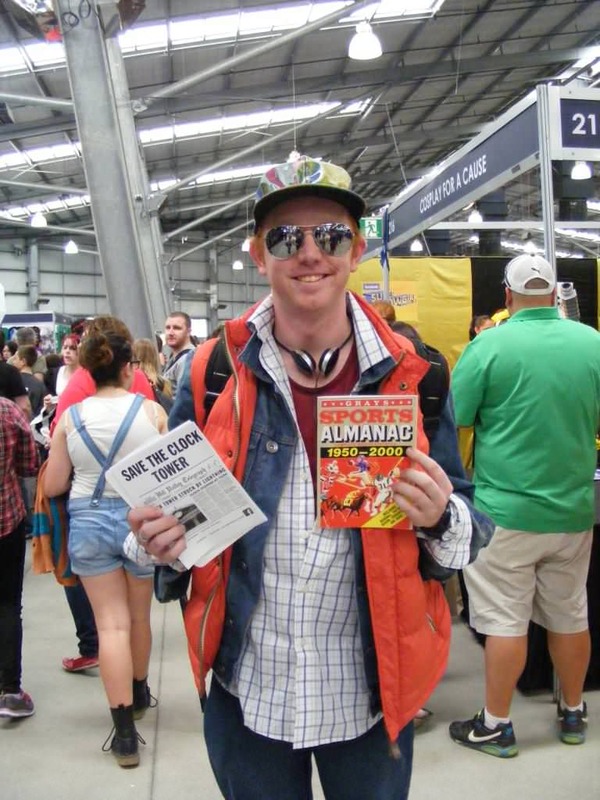 It was so awesome to see this guy dressed as Animal. Apparently severed heads were all the rage at Armageddon. 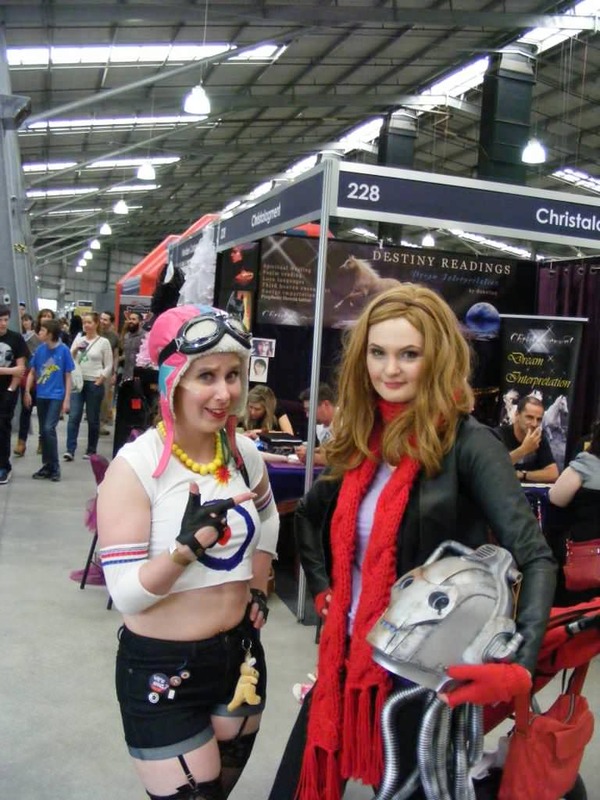 This time is was Amy Pond with a Cyberman head. Jane Lane! She likes having low self-esteem. It makes her feel special. 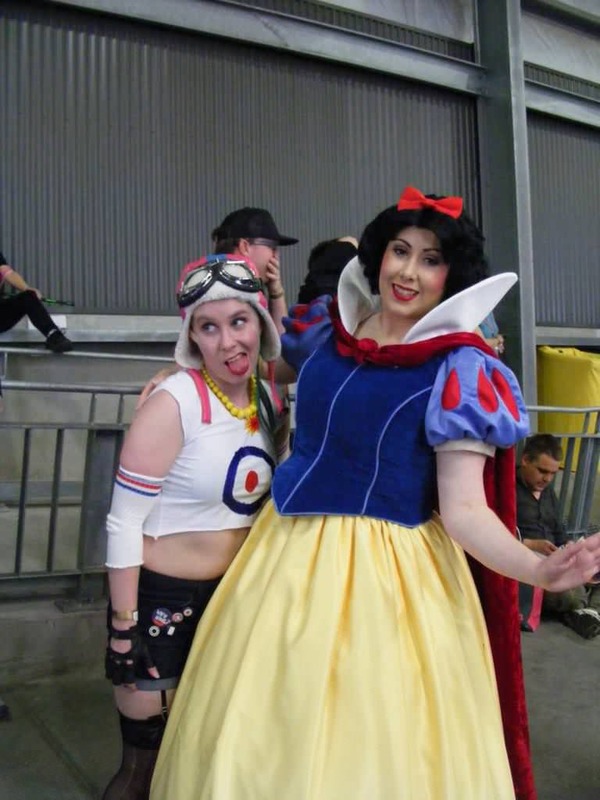 This Snow White was just too chipper for my taste (haha! She was actually super sweet). 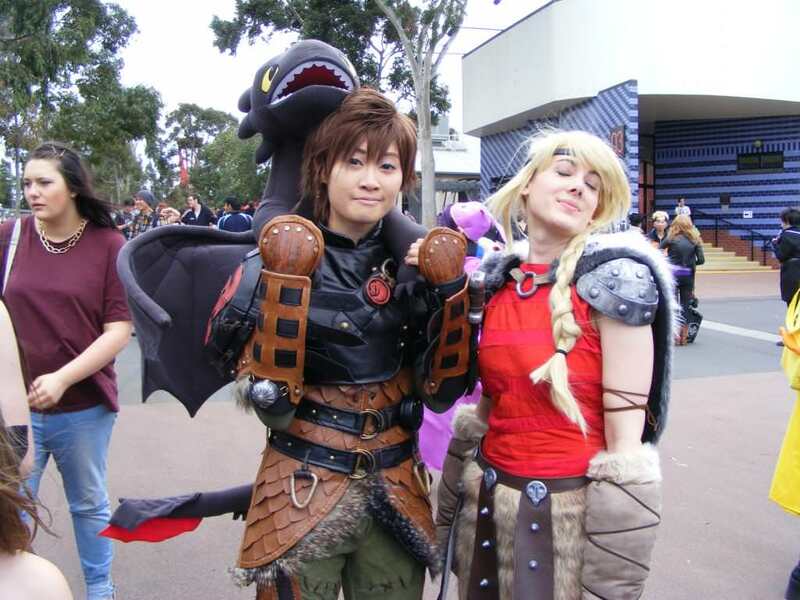 Astrid and Hiccup from How to Train your Dragon. I was totally smitten with this Flynn Ryder. He was pretty dashing. 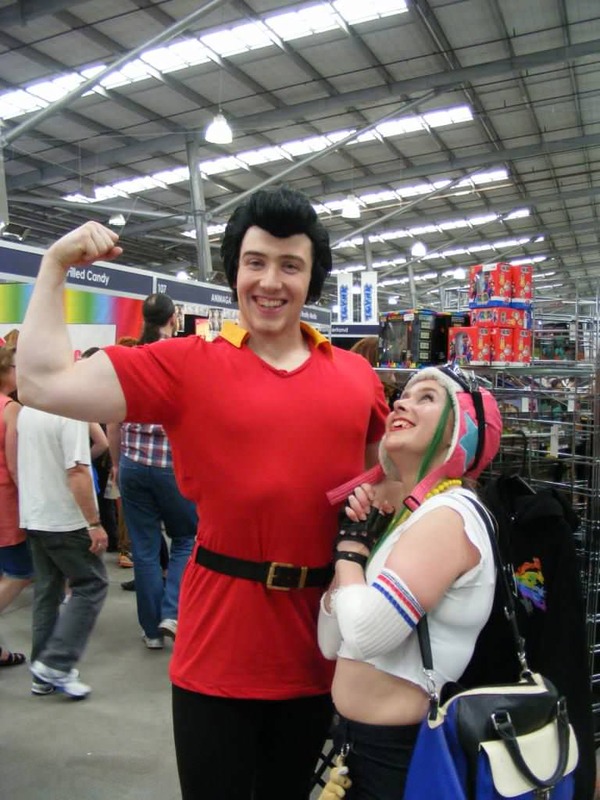 But not as dashing as Gaston! Swoon! What girl could resist those biceps? This Elsa was so stunning. I couldn’t take my eyes off her gown, it was just so beautiful. We had a fair bit of Superman-on-Superman action. 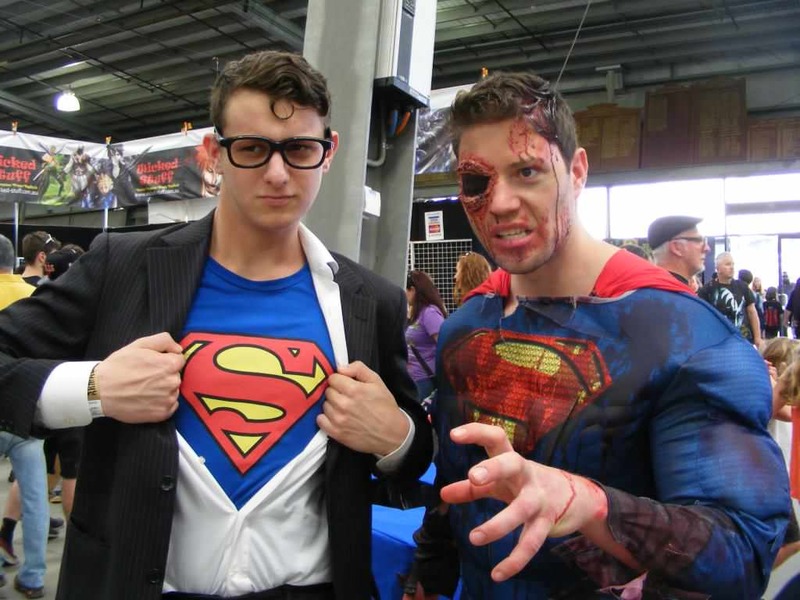 This Clarke Kent was the slickest non-zombie Superman I saw all day. I had a fantastic time this year and it was awesome to meet so many brilliant cosplayers. I am a bit sad that the cons are all over for this year, but I’m already thinking about what I’m going to wear to next-years conventions. Next Daily outfit 22/10/2014: Cowabunga Dude! Fantastic post! Love the pics. Thanks a bunch! I had an awesome time. He does look pretty scary, doesn’t he? 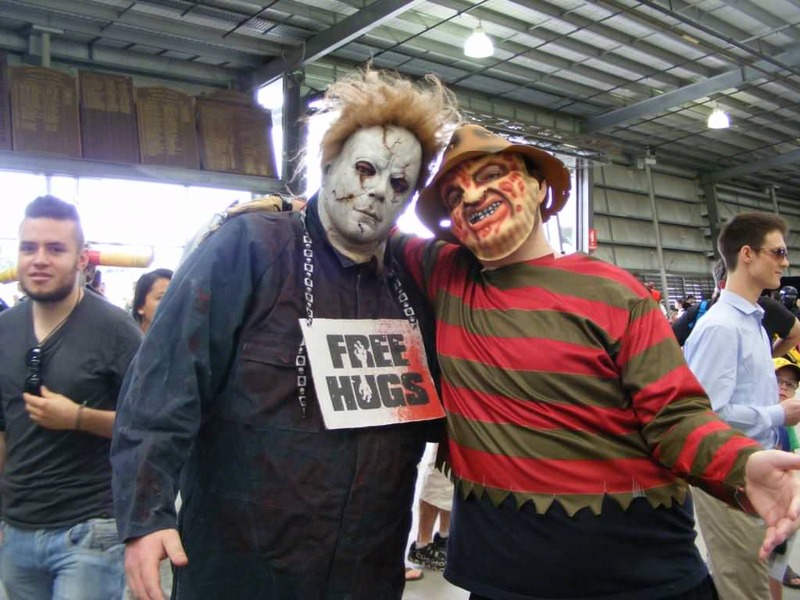 Luckily he’s very friendly in person, which makes up for all the face-gore. I’m so glad that you popped by. 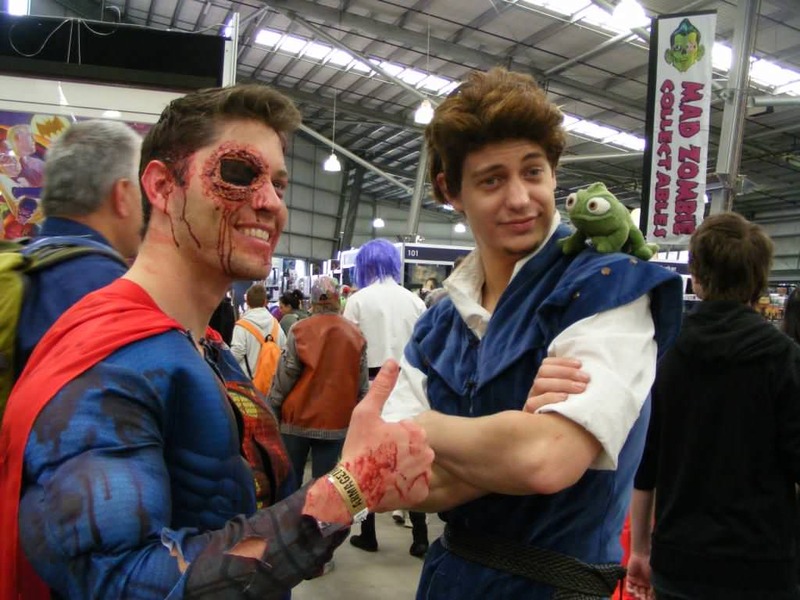 There were some truly incredible cosplays this year. 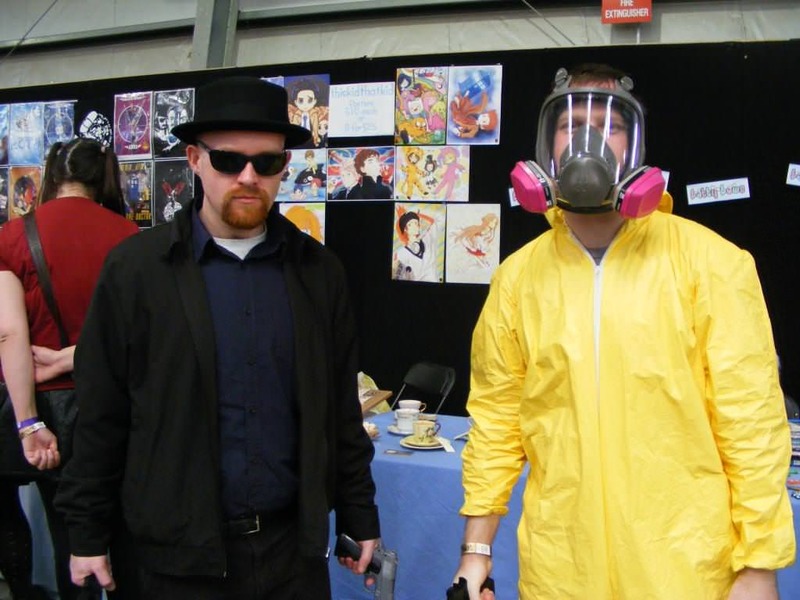 I have noticed that in the last year or so, cosplay has really jumped up a notch at the conventions I’ve been attending. People are getting so much more creative and costumes are just getting better and better. You guys look seriously sensational!!! All of these costumes drive home the point that I’ve yet to settle on mine this year. That is wildly uncharacteristic for me. I usually have my Halloween costume in mind months beforehand (and sometimes even purchased that far in advance), but this year it seems I’ve been too focused on other things (shop, blog, health, travel, family, etc) to fully focus on it. Hmmm…time is massively running out, so I need to hope to it pronto! I must say, this post gave me some ideas, but I’m still not sure. Soooo unlike me!!! Like you, I seem to plan my costumes months in advance of the actual event. 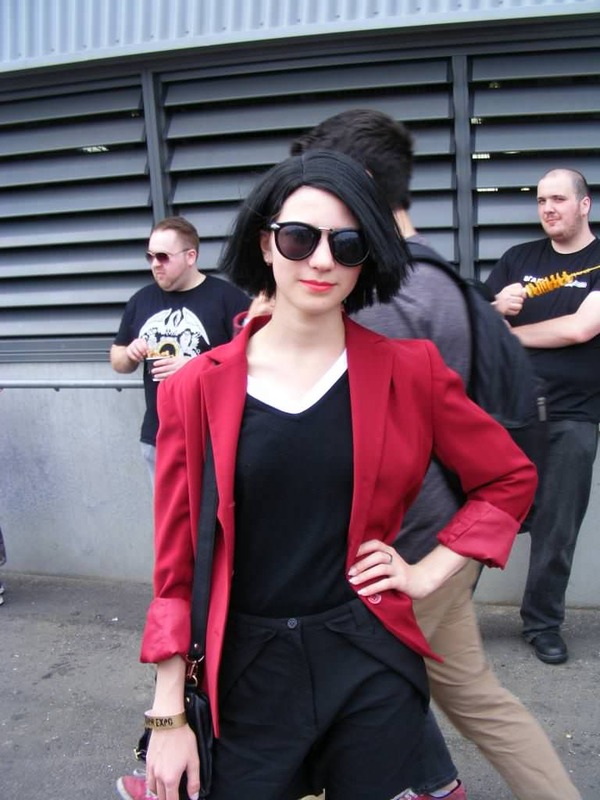 However this year I’d intended to wear a completely different costume for Armageddon, and I had to change my mind at the last minute because the weather was uncharacteristically hot. Oh well. Hopefully you come up with a fabulous idea in time to really get into the Halloween spirit.